In autumn, many drivers switch from alloy to steel rims as steel is great for winter - road salt is unable to harm it and debris can be wiped away easily. And there are also the good old wheel hubcaps at a pinch. However, in 2016, many manufacturers offered beautiful designs although not to the filigree of alloy wheels, but because of the flexibility and ductility of this material. In return, steel rims and wheels impressed by their ruggedness that makes them popular with off-road vehicle and truck drivers. Even when these wheels touch rocks, steel rims can still be used as the perfect accessories. Alloy rims have to be handled with care as these are more susceptible to damage. But the light material not only offers a design benefit - but it also helps you save fuel, too. That's something the manufacturers of steel wheels are working on - with first results available in tyre shops since 2016. In the end, many drivers still prefer this rim option due to the convenient prices; and they are in no way inferior to brand name alloy rims regarding travel comfort. Whether you are looking for quality wheels and rims made from alloy or steel for your vehicle, you have come to the right shop. Mytyres.co.uk is the place to shop for wheel and rim options for your car. We certainly offer many top 2016 brands for wheels and rims and guide you throughout the tyre purchasing process. Contact us for free help and get free delivery when you purchase two or more tyres for your truck or car. Of course, we not just stick rims and tyres in every tyre size, but we also provide accessories for your vehicle. Free delivery is available regardless of the tyre brand, size and the truck wheels you choose. To make it possible to use alloy rims even in winter, many products are powder-coated to make them more resistant to environmental influences, road salt, and grit wear. However, regular cleaning is essential. During summer, just wipe away dirt and brake dust to make the rim shine again. During the ordering process, you will already get an idea of the look of the new rim on your car. Our database contains images of all cars to be combined with the selected rims. Ultimately, not every car or truck looks as good with a seven-double spoke alloy rim. Especially extravagant wheels are reserved for sporty vehicles. You can take your time to check out mytyres.co.uk for these products and find the right size. We deliver to the address of your choice that you name at the end of the order process. 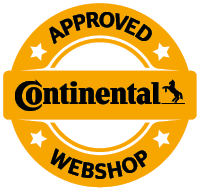 Contact us if you would like us to guide you further when buying wheels and tyres in the right size.